In college athletics, second or third chances are hard to come by. When a player arrives at the last stop of their collegiate career, it can either make them or break them. 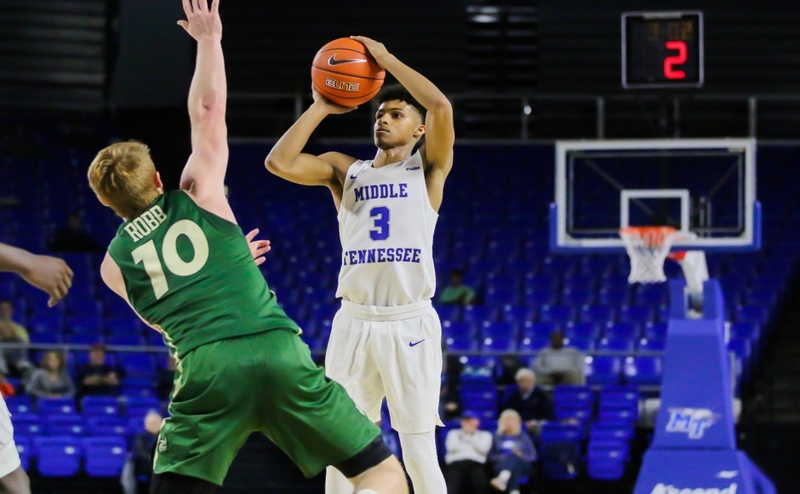 For Middle Tennessee forward Nick King, his last stop has turned out to be his most redeeming, and he is building one of the greatest individual seasons in program history. Before making his mark as a collegiate athlete, King was considered to be one of the more heralded recruits in the state of Tennessee. As a senior at Memphis East High School, King was ranked by ESPN as the 37th-best recruit. The accolades for King didn’t stop at just being one of the countries most coveted recruits. He was also named the class 3A Mr. Basketball in Tennessee during his senior season after posting averages of 24.7 points, 15.7 rebounds, 3.7 assists and 2.3 blocks per game. He owned the high school ranks his entire four-year career as well, amassing over 1,900 points and 1,000 rebounds for his career at Memphis East. He was also a winner who willed his team to the epitome of TSSAA high school basketball success, as his squad won the 2012 state championship. King was named the tournament MVP. Following his dominance in the state high school ranks, King kept his talents in Memphis to play for the Memphis Tigers and Head Coach Josh Pastner. While King dominated in high school, he didn’t exactly reciprocate that level of productivity at Memphis. In his first season, King ranked seventh on the team in points per game with 4.9, while also ranking sixth on the team in rebounds per game with 3.3. While playing a little over 11 minutes per game in his first season, King provided some solid minutes on a good basketball team. The Tigers received an at-large bid in the NCAA Tournament, where they defeated ninth-seeded George Washington in the first round before losing to Virginia in a crushing 78-60 defeat. Despite that loss, King still scored eight points in only 13 minutes of action against the best defense in the nation. Following the 2014-2015 season, King decided to transfer to Alabama, where he would sit out a year and play one season for the Crimson Tide. In King’s only season at Alabama, he made two starts and played in the team’s first seven games. Unfortunately for King, he was diagnosed with a lung infection and missed the team’s final 27 games, ending his short stint in Tuscaloosa. In his seven games, King only averaged 3.3 points and 2.9 rebounds per contest. After graduating from the University of Alabama, King was granted one final year of eligibility by the NCAA as a graduate transfer. 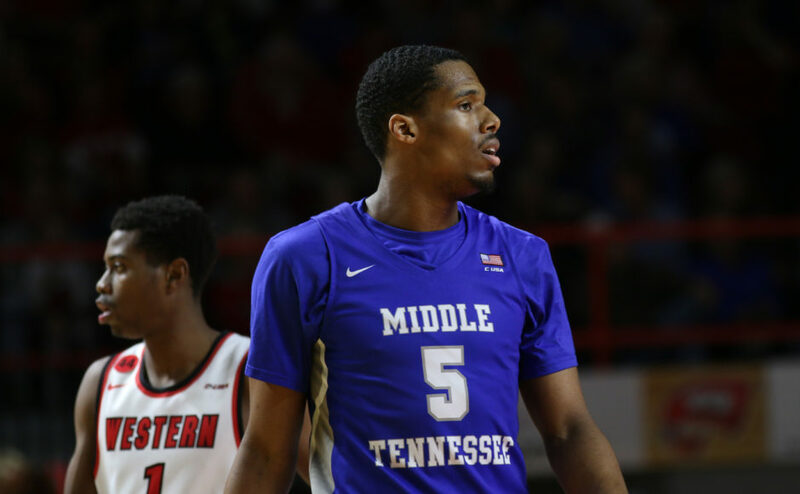 When he saw the previous successes of the Middle Tennessee State basketball program in the past two seasons, King came to the conclusion that this would be his best chance to come in and win. Since coming to MTSU, King has exceeded expectations of a second chance. Not only has he seized his opportunity, but he has left his footprint on this basketball team, while making a name for himself at the collegiate level. It certainly didn’t come easy however, as he rebounded from the inactivity he experienced after the lung infection that held him out of his final 27 games at Alabama. Since the first day of practice, King not only had to earn the respect of his new coaches, but also his new teammates. His maturity helped him step in as a leader, and senior guard Ed Simpson believes that it is that same level of maturity that has helped him adapt to this team. Simpson also noted how King’s personality fits in with the rest of the group. King is experiencing production that he’s struggled for since high school. For Davis, King is the ideal player in his system at the power forward position. To say King has had success in this offense would be a serious understatement. After the first 28 games this season, King is averaging 21.5 points (ranking third in C-USA), and has grabbed 8.4 rebounds per game. His three-point shooting has taken his game to the next level. 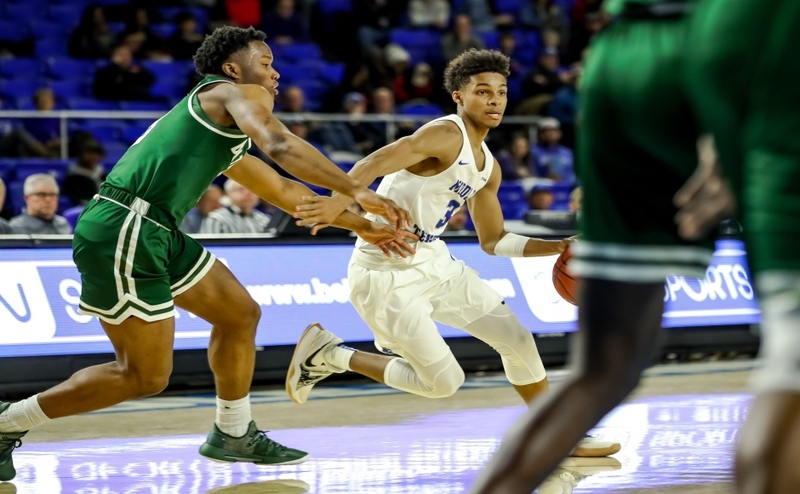 King is shooting 38.4 percent from beyond the arc and in the Blue Raiders’ game against Louisiana Tech, King scorched the nets for four three-pointers in the win. This shooting improvement has helped King break the school record for most career 30-point performances, a feat that only took him 25 games to accomplish. The individual numbers that King has put up this season has him in the driver seat to become the C-USA Player of the Year. 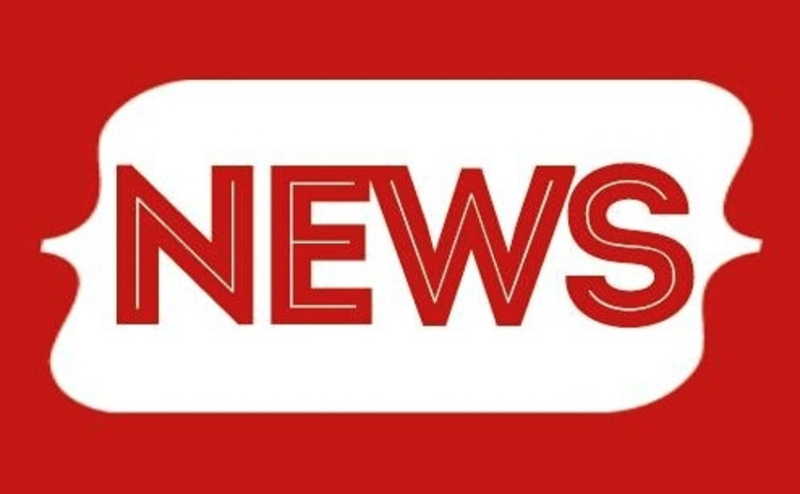 Given some of the ups and downs of his career, the award would be the ultimate testament to his work ethic, as well as given him a legacy he can share with his children. King also credits his faith as one of his biggest inspirations and driving forces to overcome his adversities and turn his career around. Given all of King’s successes this season, there is still some work to be done. Individually, King is only 69 points away from breaking the school’s scoring record for a single season. 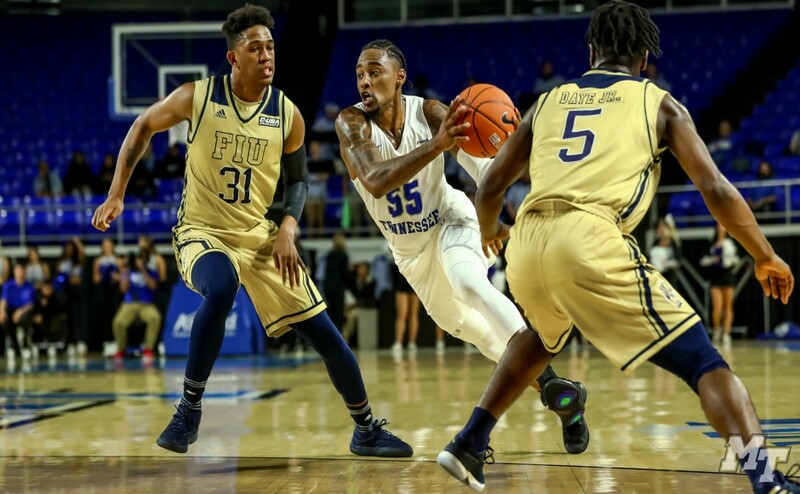 As a team, the Blue Raiders have two games to seal another C-USA regular season title, as well as a conference tournament to win that would give King one last chance at a major tournament run in March. 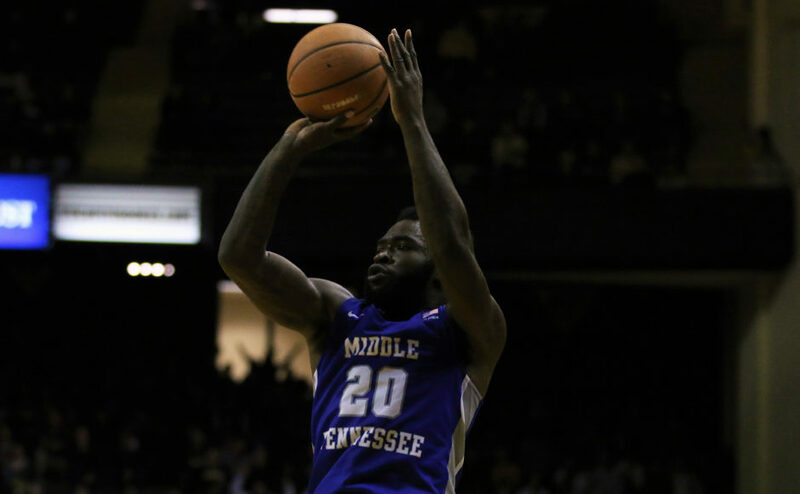 In his time in Murfreesboro, he has led the team to their first AP poll ranking in school history, made himself the frontrunner to win the C-USA Player of the Year Award and pieced together a historic season on the offensive end. King came to Middle Tennessee State to win and take advantage of his final season of eligibility. Make no mistake, he’s doing just that and more.